From check-in to check-out, it’s all about the details at our Orlando resort. 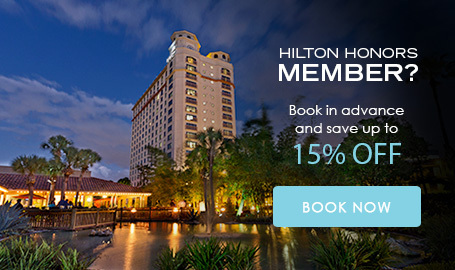 Find everything you need to know about the policies of our DoubleTree by Hilton Orlando hotel. Review our FAQs or contact our friendly hotel team for more information regarding the hotel and Orlando. Daily Resort Charge will be added to the room rate and includes: guest internet access, self park, theme park transportation, 1 appetizer w/ purchase of entree in Laguna per stay, 2 bottled waters from The Market per stay, plus local and toll free calls.